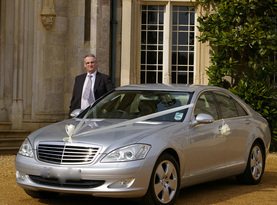 Arrive in style to your special day with the Mercedes S Class as your wedding car. I offer a reliable, tailored and cost effective service that works around your wedding. Ivory ribbons included though you may choose an alternative colour for a small charge.